Preparing for Print 18. Exhibitor Highlights for Upcoming Print Industry Event. This year’s Print 18 trade show takes place from September 30 to October 2, 2018 at McCormick Place in Chicago, IL. The event, hosted by the Association for Print Technologies (APT)—formerly known as NPES—is dedicated to helping its attendees grow their business. The three-day event enables visitors to check out the latest products and services, network, and attend educational sessions on a range of topics from design and marketing to growth strategies and emerging technologies. APT believes that printing has been vital to communication for decades; today, the digital culture heightens the industry’s complexity and reframed its relevance. 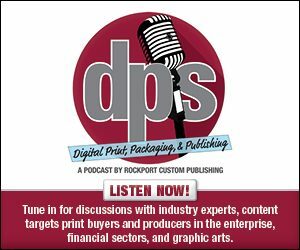 The organization says print works to bring the boldest and brightest innovators, influencers, and newest technology together to create connections that showcase and advance the industry. Above: CGS demonstrates its packaging software trio in booth 2203. With a show floor packed with vendors offering relevant products and services, it is important to highlight your top priorities to maximize your time at the event. Here, we feature part one of a two-part show preview. Amazing Print Tech, booth 451, has facilitated millions of postcard, business card, and stationery orders since 1997. The company’s web to print software empowers distributors with template-based postcard, signage, and business card printing software to effectively market, drive, and close sales. Aurigma, booth 239, returns to Print 18 with its flagship Customer’s Canvas web to print editor, which enables print providers to build custom online storefronts for a variety of products tailored to their businesses. The company presents its latest Customer’s Canvas packaging technology, which integrates into customer websites and streamlines the online creation of personalized package products. The web to packaging solution supports dynamic die-cut templates. Canon U.S.A., booth 2400, showcases the advancements that it is making to push the boundaries in the printing market through its broad portfolio of innovative solutions. At the show, Canon U.S.A. highlights printing solutions from the company’s extensive lineup, including the Océ Colorado 1640. Other products and solutions on display include the latest imagePRESS, imagePROGRAF, and PRISMA products. CGS-ORIS, booth 2203, presents demonstrations of its packaging software trio—ORIS CxF Toolbox, iC3D, and ORIS Flex Pack. This all-in-one prototyping system provides complete proofing capabilities by combining 3D visualization and physical prototyping, including spot varnishes and cold foils. The company also showcases ORIS X Gamut, featuring expanded gamut color management for the latest presses. Challenge Machinery Company, booth 815, is an American manufacturer featuring a diverse line of print finishing equipment including paper cutters from 15 to 62 inches, single- and three-knife, fully automated book trimmers, paper drills, joggers, cornering machines, stock trucks, padding presses, and other bindery equipment. Document Data Solutions (DDS), booth 824, showcases its Fuji-Samba based FS-1200 inkjet print system. The FS-1200 expands DDS’ existing color and monochrome inkjet technology from HP, Kyocera, Ricoh, and others. The FS-1200 supports dye, pigment, UV-curable, and latex inks and offers scalable print widths of 1.7 to 27 inches in a single print bar—with no stitching of individual print modules. Tying these print technologies together is the DDS Universal Controller. The company’s controller allows clients to continue using existing workflows like .csv, IJPDS, and PDF. For those without an existing workflow, the company will create one or provide its proprietary solution. Duplo USA, booth 3004, offers live presentations and real job demonstrations with a focus on streamlining workflows and increasing profitability with print embellishment. The DDC-810 Raised Spot UV Coater will be on the floor along with a wide range of finishing solutions including slitter/cutter/creasers, bookletmakers, die cutters, perfect binders, and tabletop folders. Epson, booth 3121, showcases the new SureColor T5170 36-inch wireless printer, offering fast, precise, and reliable printing with a compact, clean floor-standing design, the SC-T5170 produces accurate, A1/D-size prints in 31 seconds. Whether printing from a roll or the Auto Sheet Feeder, the 4.3-inch color touchscreen simplifies print tasks. UltraChrome XD2 pigment inks deliver durable, vibrant prints, and integrated wireless and WiFi Direct connectivity allow for easily printing from tablets and smartphones from virtually anywhere in the office. GPA, booth 3816, reveals developments that are changing the way people look at the company, giving visitors a first look at the latest evolution of GPA. Attendees can experience GPA’s Sports Edition book, a comprehensive feature of several key substrates and innovative print techniques, as well as a special edition Digital Swatchbook. Graphtec America, booth 3534, highlights the new Optima V250 4×8-foot digital flatbed cutter, FCX Series flatbeds, and High-Performance FC8600 Series roll feed cutters. From delicate films to three-quarter inch PVC, Graphtec has a solution for every cut. GTI Graphic Technology, Inc., booth 312, features its family of Graphiclite D50 products, which includes desktop viewers, viewing stations with rolling floor stands, large format viewing solutions, and soft proofing systems. All products comply with ISO 3664:2009, the international standard for viewing in graphic technology and photographic conditions. Among its featured products is the PDV-3e, a desktop viewing system with a 13×19-inch viewing area. Also shown, the CVX-3052/FS viewing station with a 29×52-inch viewing area, which is available with a range of floor stand and storage options. The VPI-40 is also displayed. Designed for viewing large format prints in a vertical fashion, it features a viewing area of 40×45.25 inches. Both the VPI and CVX are available in a range of model sizes. Last but not least, the Soft View SOFV-1xiQ desktop viewing system is displayed, which is optimized for soft proofing applications. MBM Corporation, booth 3200, debuts the VRCut ready Triumph cutters. These programmable Triumph cutters—5260, 5560, 6660, 7260—revolutionize the paper cutting process. Lytrod’s new VRCut software automates the operator workflow by creating an efficient cutting process from start to finish, allowing operators of any experience level the ability to cut with confidence. MBM also demonstrates the Aerocut Prime and Velocity all-in-one finishing systems with the new Lytrod Intellicut software; the Aerocut NanoPLUS with the new Lytrod VisionFocus software; a new booklemaker and trimmer; and the 1800S, 408A, and 208J folders. Ricoh, booth 3011, demonstrates its service offerings and sheet-fed portfolio, including the Ricoh Pro C7210X, Ricoh Pro C9210, and Ricoh Professional Services. The Ricoh Pro C7210X is a sheet-fed digital printer that delivers speeds of up to 95 pages per minute (ppm) at 2,400×4,800 dpi VCSEL image quality; a fifth color station for clear, white, neon yellow, neon pink, or UV Security Red; textured media capabilities; and oversized printing up to 49.6 inches. The Ricoh Pro C9210 is a heavy segment sheet-fed color digital printer featuring speeds of up to 135 ppm, media support up to 470 gsm, and the capacity to run the longest paper lengths up to 49 inches simplex and 40 inches auto-duplex. Ricoh’s professional services empower printers via consulting and training to develop effective color and workflow integration strategies, helping to ensure unique production environments work in harmony for optimal performance. Rollem International, booth 1423, features finishing automation at the show, with two die cutters, slitters, and kiss cutting demonstrations. Visitors will see the new InsigniaX3 B2 large format die cutter, showing a 30 pt. identification mailer demonstration, plus the Insignia6 featuring complete finishing of presentation folders—die cut, scoring, waste stripping, and inline folding and gluing. Rollem’s Jetstream features 29×20-inch bi-directional slitting, scoring, and perforating of a luxury brochure plus automated postcard slitting and kiss cutting of pressure-sensitive materials. TEC Lighting Inc., booth 2229, designs, manufactures, and distributes UV coaters, UV equipment, and special energy sources. The company provides more than 100 years of combined experience in UV-curing technology and presents a ﬂexible approach to engineering, problem solving, and development of processes. Therm-O-Type, booth 3805, demonstrates the new Glue-Tech sheet laminating machine as well as the RAS-mc right angle slitter, RDC-Flex rotary die cutter, Zip-TS2L cutter/slitter/creaser, foil fusing equipment, the NSF Excel with inline waste stripping attachment, and the new NSF Ultra foil stamping/embossing/die cutting press.